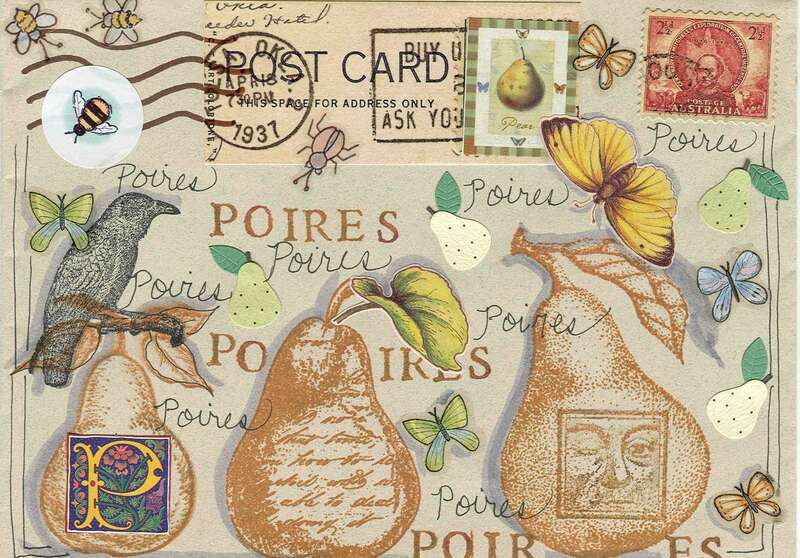 Rubber stamp whimsy is what this pear design is all about! I love pears. I find them sensual and shapely, and they also go well with a nice Reisling! Pears are the perfect Autumn fruit. This is a print of an original collage I did a year ago. Each card measures 4 1/4" x 5 1/2" and comes with a white envelope in a cello sleeve.